Geologists have found evidence that sea ice extended to the equator 716.5 million years ago, bringing new precision to a "snowball Earth" event long suspected to have taken place around that time. Led by scientists at Harvard University, the team reports on its work this week in the journal Science. The new findings -- based on an analysis of ancient tropical rocks that are now found in remote northwestern Canada -- bolster the theory that our planet has, at times in the past, been ice-covered at all latitudes. "This is the first time that the Sturtian glaciation has been shown to have occurred at tropical latitudes, providing direct evidence that this particular glaciation was a 'snowball Earth' event," says lead author Francis A. Macdonald, an assistant professor in the Department of Earth and Planetary Sciences at Harvard. "Our data also suggests that the Sturtian glaciation lasted a minimum of 5 million years." "The fossil record suggests that all of the major eukaryotic groups, with the possible exception of animals, existed before the Sturtian glaciation," Macdonald says. "The questions that arise from this are: If a snowball Earth existed, how did these eukaryotes survive? Moreover, did the Sturtian snowball Earth stimulate evolution and the origin of animals?" 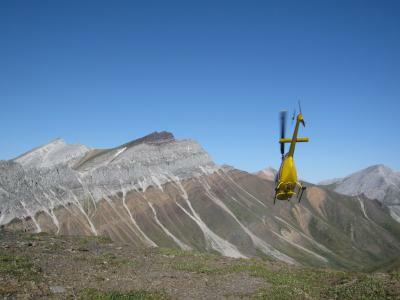 The rocks Macdonald and his colleagues analyzed in Canada's Yukon Territory showed glacial deposits and other signs of glaciation, such as striated clasts, ice rafted debris, and deformation of soft sediments. The scientists were able to determine, based on the magnetism and composition of these rocks, that 716.5 million years ago they were located at sea level in the tropics, at about 10 degrees latitude. "Because of the high albedo of ice, climate modeling has long predicted that if sea ice were ever to develop within 30 degrees latitude of the equator, the whole ocean would rapidly freeze over," Macdonald says. "So our result implies quite strongly that ice would have been found at all latitudes during the Sturtian glaciation." 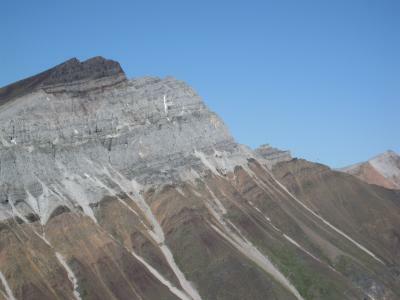 Scientists don't know exactly what caused this glaciation or what ended it, but Macdonald says its age of 716.5 million years closely matches the age of a large igneous province stretching more than 1,500 kilometers (932 miles) from Alaska to Ellesmere Island in far northeastern Canada. This coincidence could mean the glaciation was either precipitated or terminated by volcanic activity.